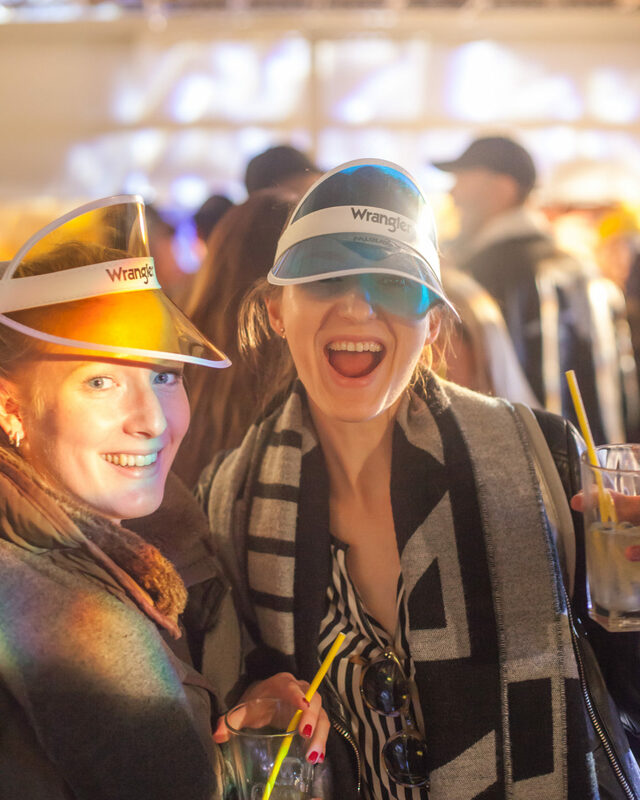 We didn’t really know what to expect when the invitation stated that the venue was in a car park, but in hindsight Wrangler gave us a pretty big clue when they described the event as ‘a flash back to the 90’s’. 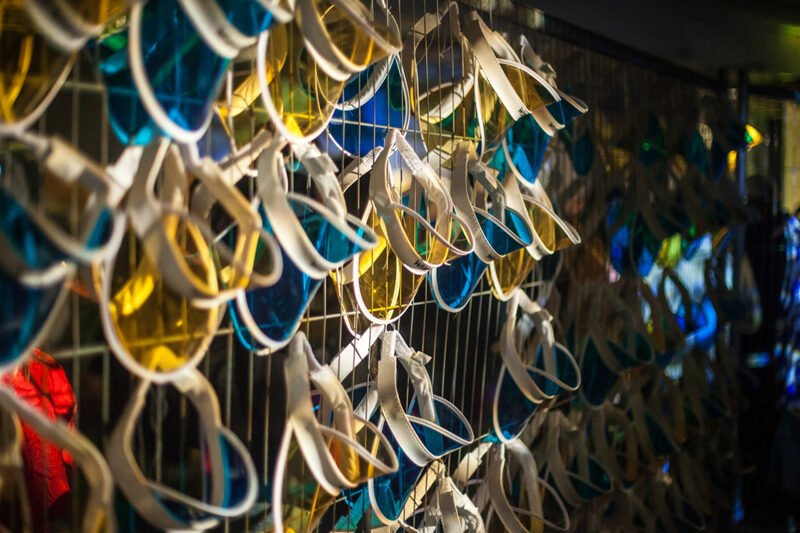 Upon arrival we were directed into the multistory and terrifically transported back in time to the decadent decade of denim. 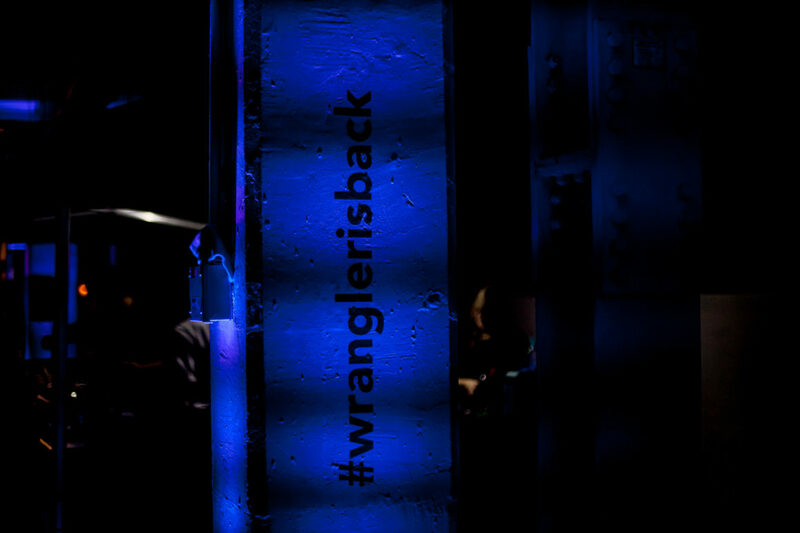 Strong Wrangler branding decorated the celebration; the revival of an era of retro aesthetics. 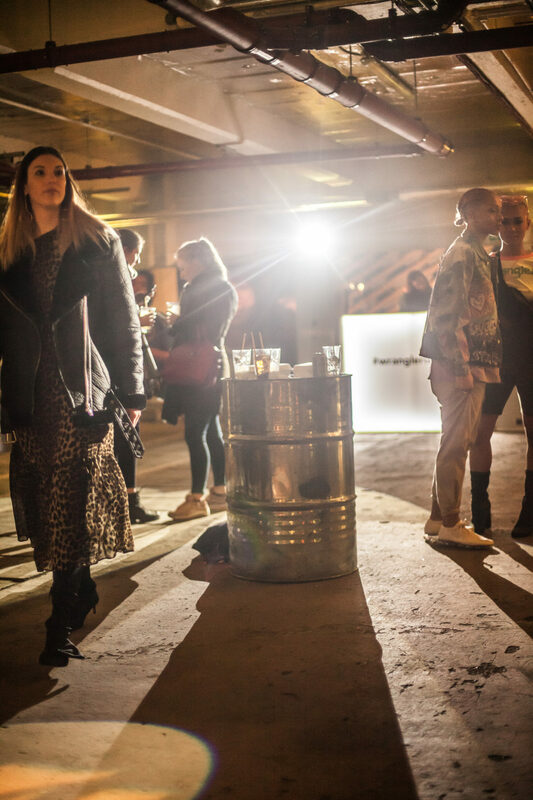 The location sported appropriate grunge props such as oil drums for tables and the night felt like an awesome mix of festival meets fairground. 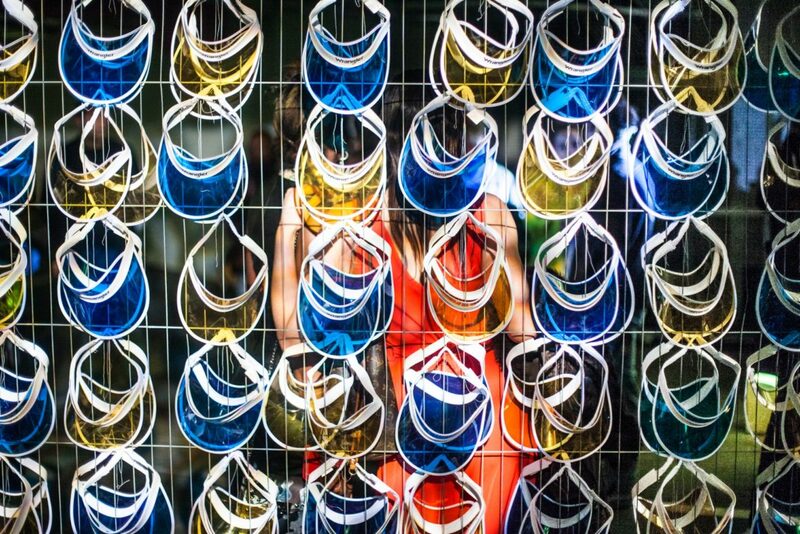 In tribute to Wrangler’s bold heritage, the brand exhibited their yellow and blue products on temporary fencing panels alongside a display of visors. 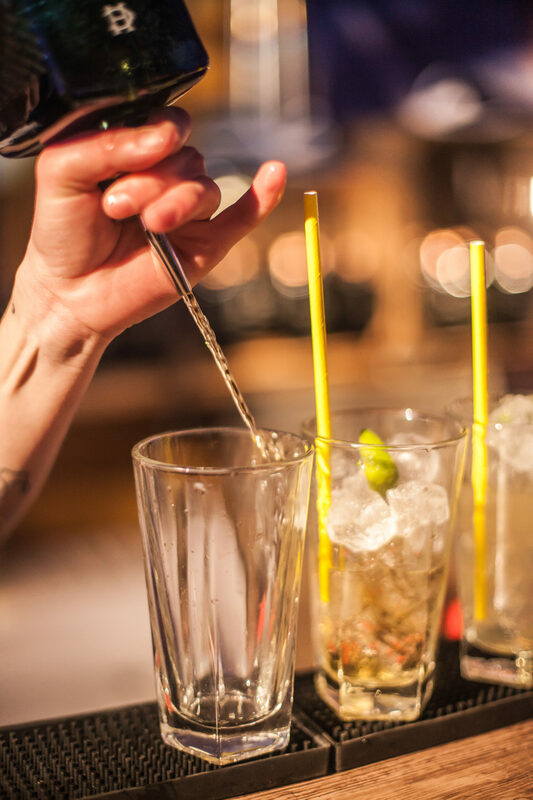 A taco stand, burger tent, and a bar which served purely Haig Club Clubman whisky provided guests with the perfect after work beverages to get them in the mood for dancing to the DJ. 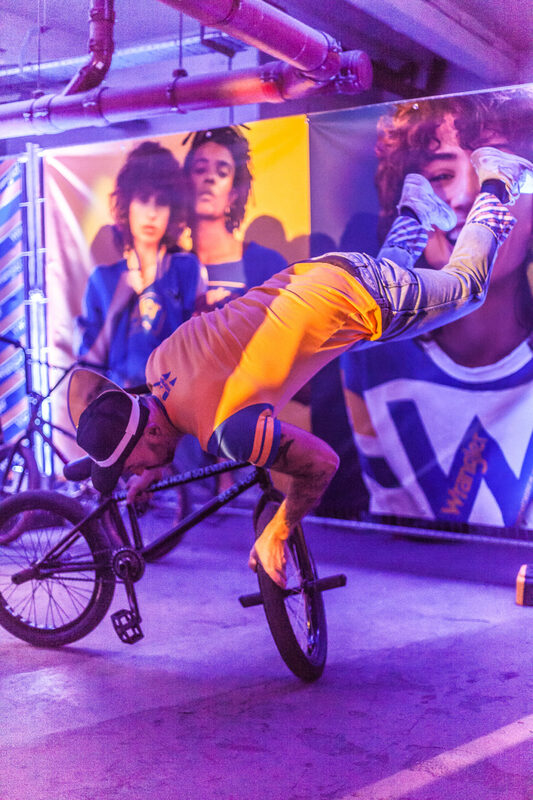 Skater Boys soon surfaced, along with professional BMX artists performing around the attendees arousing Nirvana nostalgia. What quickly brought us back to the present was the amount of selfies taken amongst the fun, the weird and wonderful setting was ideal for a photo op. In particular, an area with a Wrangler backdrop provided the perfect place for photos and the brand’s models encouraged this throughout the event. 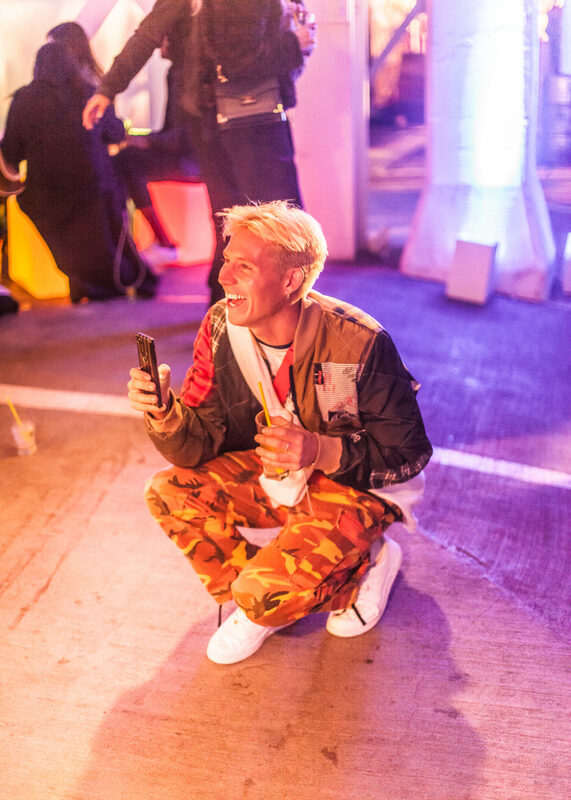 Attendees were indeed all spectacularly dressed with many conforming to the unspoken dress code of the 90’s; fantastic street style surrounded us amid the parking spaces. 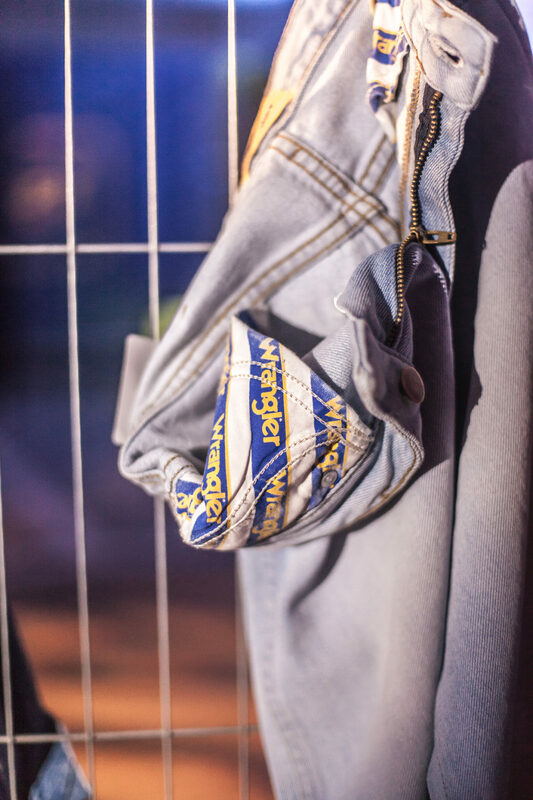 Personalisation seemed to be a key aspect of the evenings attire: artistic paintings covered the back of leather jackets, fronts of denim jackets and statement bags. Full-length fur featured frequently and boy-band coloured camouflage worked well with branded, layered t-shirts, and the shoes… well they were on a platform of their own! Despite the fun fantasies of the night, the new 90’s trend and degree of ‘cool’ in the car park worked incredibly well. 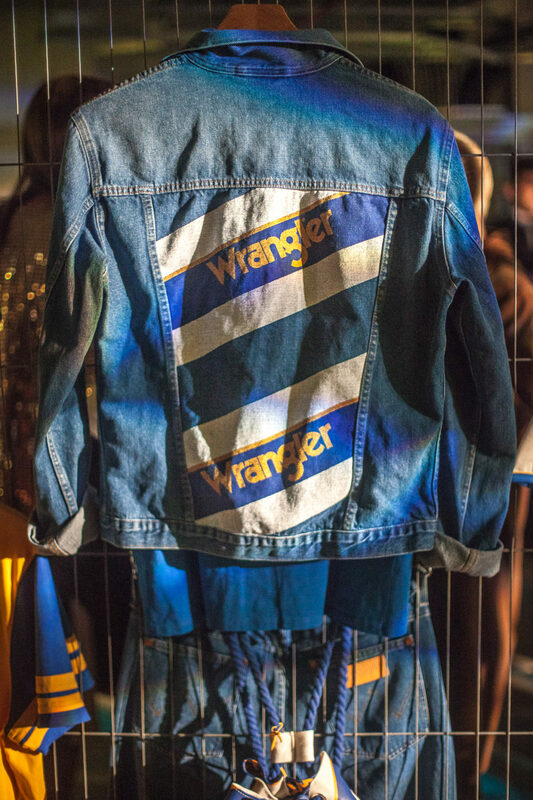 Wrangler’s back to blue and yellow range, now available online ‘opens the door back to the 80’s and 90’s’. Blocks of colour on tops, tracksuits and sweaters add a sporty vibe to this collection. We love the bold, almost roadwork sign, diagonally oriented, branded blue and white stripes. These stripes cover t-shirts and are printed onto denim jacket backs while also lining jean turn-ups, all a nod toward vintage Wrangler. Denims are available in multiple blue shades but all hold that classic 90’s wash we love. Goodie bags tied the evening together nicely continuing the yellow, blue and white theme. From the IKEA-esque shopping bags, to frisbees, to decade appropriate pin and iron on badges. Of course, the iconic visors were present which we cannot wait to wear by the beach this summer! Check out more of our men’s fashion features here.